OTech: Imaging technologies for developing countries. Imaging technologies for developing countries. solutions they have come up with to deal with a lack of capital, spare parts and service support. 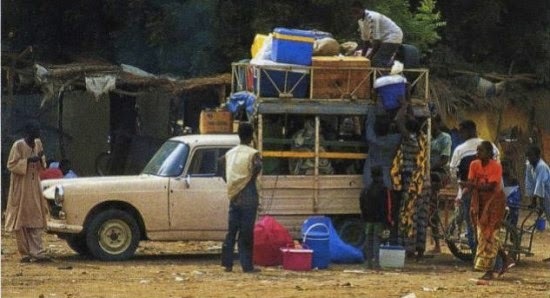 A good example is the pictures we see of the many 1950s American cars in Cuba, or the 1960’s French Peugeots in east Africa and Egypt. By contrast, a modern car that requires a computer to do a tune-up and diagnostics, and has hundreds of electrical parts that can break down would not last long in these developing countries. The same can be said for sophisticated imaging devices. They are too hard to repair assuming there is expertise available, and too expensive to start with. Developing countries need simple, robust devices with a minimum of consumable parts. The good news is that there are a few solutions available that meet these criteria, but interestingly enough, mostly do NOT come from major manufacturers, as they seem to concentrate on sophisticated gear for developed countries. I think that they actually are missing a great market opportunity as, for example, three quarters of the world does not have access to basic radiography. Instead of selling one high-end unit to one quarter of the market, it might make sense to sell three, simple, less expensive, units with the same total profit margin to the developing world. Let’s discuss some of the devices that are geared to these markets, starting with radiography. The World Health Organization has developed a specification for a basic radiography unit, called the WHIS-Rad (World Health Imaging System for Radiography). It is a general-purpose unit, very easy to use, with an extensive manual, that can operate on batteries or solar power in addition to regular power, and requires minimal radiation screening. There have been more than 1000 units produced and they have proven to be quite reliable. The cost is about $25,000. The issue with these units is that they still require film, which creates logistical and environmental issues and is a barrier for some patients as the cost of a couple of sheets of film is often more than a day’s wages. That is why we need digital technology. A digital radiography (DR) plate costs between US $30,000 and $40,000, with the added electronics the cost of a complete digital system comes up to about $75,000. 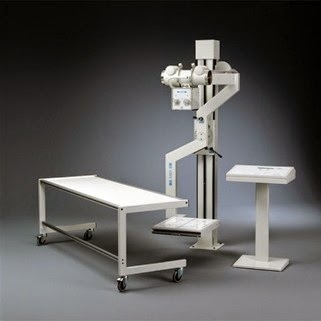 A computerized radiography (CR) solution that can utilize the same size cassette as used for film is in most cases a more cost-effective solution, especially now that this technology is so mature that there are tabletop systems available for $20,000 to $25,000 that can serve multiple rooms and even portables if needed. The advantage of digital radiography is that there is no need for consumables (film), so every image is basically free after the initial investment is made, and images can be shared and sent to a specialist for consultation, which is important due to an often lack of local expertise. A typical large clinic or small hospital is best served with a combination of radiography and ultrasound, especially if there are a lot of OB/GYN cases. The good news is that there are small portable units available for around $10,000 that can do most of the basic diagnostic work. Pathology is also an area where there is not much local expertise available. 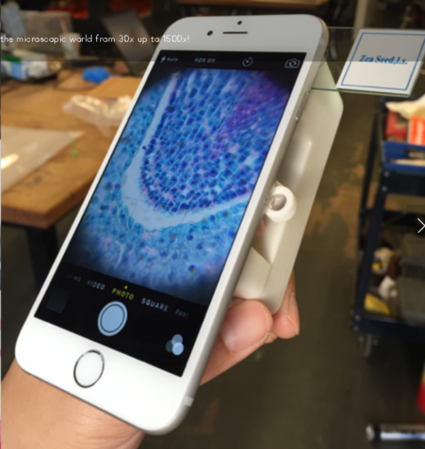 add-on to a smart phone that provides a back light for a standard pathology slide and a lens that can magnify up to 1500 times. The images can be sent to a pathologist for review. To manage all these digital images, most hospitals in the developed world use a sophisticated image and information management system, or picture archiving and communications system (PACS). The advantage of a PACS is that it has elaborate workflow support, a solid integration with the radiology information system, and voice recognition reporting. The PACS diagnostic viewers have also become especially sophisticated with new image processing features to manage the large complex sets of CT and MRI sequences. None of these are needed in developing countries, rather, a simple image viewer with basic functions and a solid image archive/database manager with backup and redundancy (e.g. mirrored drives) is all that’s needed. There are open source solutions available that will offer this functionality. A 5Mpixel or 3 MPixel monitor is overkill, while a 2 MPixel medical grade monitor will do the job, and can be bought for $1,500. Remember that the original image resolution can be viewed by using the appropriate zoom tools using the screen resolutions. Note that it is imperative to use a medical grade monitor that is self-calibrating, an off-the-shelf commercial grade monitor is not a good option. For those cases where film is still used, a good quality, cost effective digitizer is needed. Physicians are taking pictures with a standard consumer grade photo camera or even their smart phones, which is not recommended as the whole data range is not captured, and converted to digital values to be reviewed by the receiver. Installing a MRI in a developing country is cost prohibitive in almost all cases as it could run up to $3 million including the site preparations etc. Also, getting helium to the site that is needed to cool the MRI magnet is a major challenge. A different technology and type of magnet is needed. The University of Minnesota Center for MRI research is not only pushing the limits to ever-higher strength magnets (10 Tesla and up) but also working on developing a cost-effective magnet that only requires liquid nitrogen (which is relatively easy to manufacture) using a new type of material for the magnetic coils. This would result is a unit that could cost no more than $250,000, and could be affordable for some of the larger sites in these countries. Cancer treatment is also a major issue. As of now, most cancers are treatable in the Western world but in the developing world there is a major lack of access to treatment due to unavailability of equipment. The new linear accelerators that are commonly used for treatment are very sophisticated and require a lot of attention. Instead of these sophisticated systems, a traditional treatment system using a fixed, Cobalt radiation source could be a much better solution for developing countries. The same applies for the treatment simulation software; a simple X-ray based system instead of a CT simulator might be better and more cost effective. In conclusion, the developing world needs cost-effective solutions, which is a combination of mature technologies that are simple and robust, such as the WHIS-Rad X-ray unit and an easy-to-service CR table-top unit. In some cases, we might select a technology that might seem “outdated,” such as a Cobalt therapy device, but the results are no less effective. There are open-source software solutions available that provide much of the image management features needed, and the use of smart phones with new apps can jump start new applications to deal with lack of local resources and expertise such as used in tele-pathology.